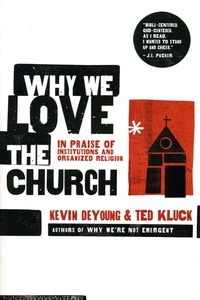 Authors Kevin DeYoung and Ted Kluck present the case for loving the local church. Their newest book paints a picture of the local church in all its biblical and real life guts, gaffes, and glory in an effort to edify local congregations and entice the disaffected back to the fold. It provides a solid biblical mandate to love and be part of the body of Christ and counteract the “leave church” books that trumpet rebellion and individual felt needs.